I was recently sent these lovely eyelashes from www.eyesbright.com, a website that stocks an array of coloured contact lenses, false eyelashes and various other wacky creations. If you are going on a fancy dress night out or just want to experiment with some crazy new looks, I 100% you recommend checking them out. 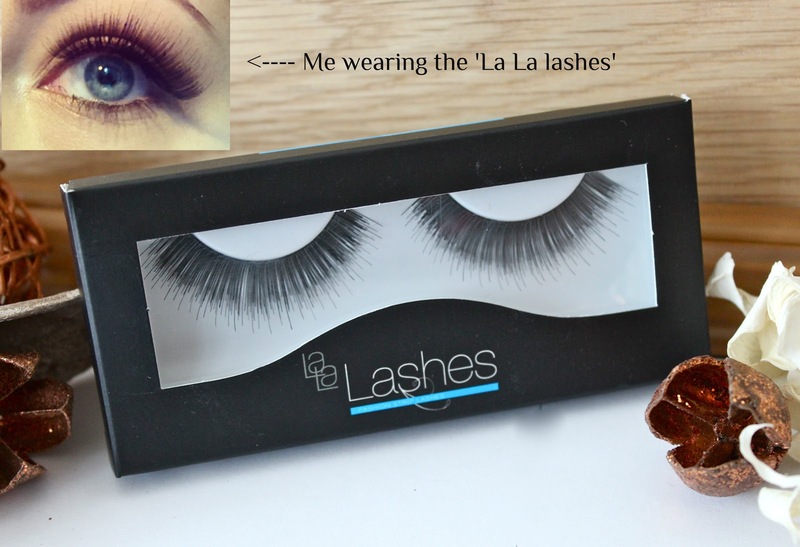 I was sent the Miss Flicklash and La La Lashes in the style 'D-Orable'. Both of these pairs of eyelashes are super glamorous and perfect for the upcoming party season. 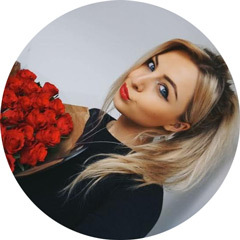 I was particularly amazed and impressed by the 'Flicklash' lashes as I have never come across eyelashes in this style before. Instead of just being a standard pair of eyelashes, they come with an attached 'flick' which means you can create 'cat-eye' flicks without having to use fiddly liquid eyeliner. I know from personal experience how difficult it can be to create perfect looking flicks, especially whilst wearing false eyelashes, so these innovative lashes completely solve that problem. I apologise that there isn't a picture of me wearing them but I'm saving them for Christmas time and a glitzy night out as the flick part of the lash is slightly glittery and perfect to pair with a dark smokey eye. I'm pretty sure they will feature in a makeup look over the Christmas period so keep an eye out for that so you can see how they look once applied. As for the La La Lashes, they are perfect. I have attached a photo of me wearing them above and I just love everything about them. Not only are they long and glamorous but also remain natural and not too over the top at the same time. The lashes are very fine with the odd longer one placed throughout them meaning when applied they create a really pretty wide-eyed look. Again, I apologise for the lack of photos but I didn't want to ruin them before getting the chance to wear them over Christmas. If you want to treat yourself to some new party lashes you can find both of these pairs here and here. They are reasonably priced and come in a huge array of different coloured 'flicks' and styles. Do you enjoy wearing false eyelashes for a special occasion? I keep telling myself to wear false eyelashes more often. I have a load of them in my makeup draw, but I just find them too fiddily to apply! I think I need some practice! I do like the sound of the ones with the flicks attached, perfect for those nights where you cant get your flicks symmetrical! Oh these do look really pretty! I used to wear false lashes all the time but I tend not to these days. Those Lala lashes look amazing! Looks absolutely amazing! I definitely want to see pictures of the lashes with the flick - it seems like such a great idea! These look amazing! So full without giving you the 'eye half closed' look! Those are amazing love your blog! Those flick lash ones look awesome, i really want to try them out. Such a good idea!